Ever felt completely overwhelmed by life? Recently, I started to think about goals for the year ahead – which is a great exercise, don’t get me wrong. Then I thought about all the other things I need to do, plus the things I should do, not to mention the things I want to do. Pretty soon I felt overwhelmed, trying to get my head around it all. And I couldn’t snap out of it. Suddenly, I realised that I was thinking (and worrying) about tomorrow, and next month, and the end of the year. But what about today? 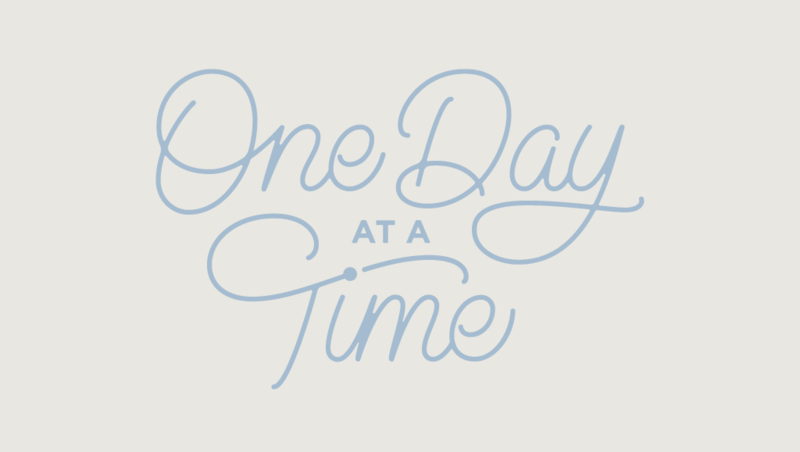 So I created the lettering piece that you see above, to remind me (and anyone else who needs it) to take life one day at a time, and to enjoy it.